- Kenny Driscoll, Higher Design. Sign-up for Solve, your first 14-days are FREE. 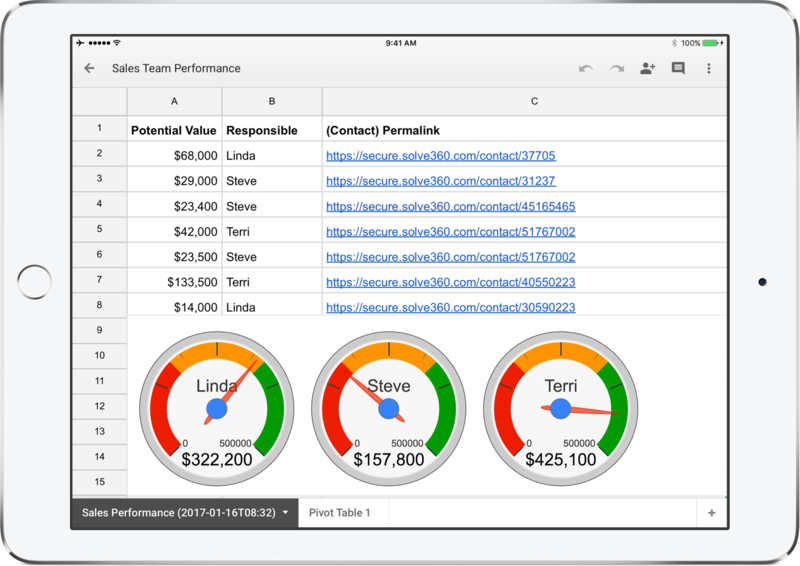 Realize the benefits of our flexible CRM, then start creating your new personalized reports and charts with the Solve CRM add-on for Google Sheets. Our team has your back. If you have any questions about Solve or the Solve add-on just reach out to our Sales Team or submit a support ticket for a personal response. Let’s set the stage for your new dashboard by walking through some simple and useful reporting examples and popular features in Solve’s Report Builder. Pull contact, company and project addresses from your Solve account into Google Maps.